With contributions from leading European and American psychoanalysts, this innovative text systematically investigates and analyses the relationship between clinical practice and psychoanalytic theories. It examines clinical practice experience in detail and links it with the knowledge gained from official theory. To make this type of analysis of clinical material possible, the team of authors have devised a grid called The Map. This new instrument details the implicit theories of the analyst at work and can be used in everyday clinical work and supervisions. These analyses highlight the divergences and convergences with theory, but also reveal outlines for new models. 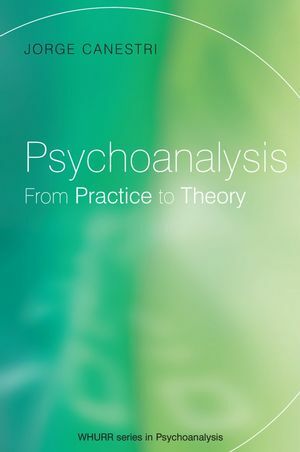 Psychoanalysis: From Practice to Theory makes a significant contribution to the debate about the most important problems that psychoanalysis presents. It will be of great value to psychoanalysts, psychotherapists, and students of psychoanalysis. Jorge Canestri: MD, psychiatrist, psychoanalyst. Specialized in linguistics and epistemology. Training and supervising analyst for the Italian Psychoanalytical Association (AIPsi) and for the Argentine Psychoanalytic Association. Director of the Institute of Psychoanalysis of the Italian Psychoanalytical Association (1992–98). Full member of the International Psychoanalytic Association. Chair of the Ethics Committee (IPA), Chair of the Working Party on Theoretical Issues of the EPF, Chair of the 42nd Congress of the International Psychoanalytic Association (IPA), Nice, 2001. Member of the Conceptual and Empirical Research Committee (IPA). Professor of Psychology of Mental Health at the Roma 3 University. Editor of the Educational Section of the International Journal of Psycho-Analysis. Member of the Editorial Board of the International Journal of Psycho-Analysis. Correspondent of Psicoanálisis and of Revista de Psicoanálisis. Member of the Editorial Board of Aperturas Psicoanalíticas. Author of numerous psychoanalytical papers in books and reviews and co-author of The Babel of the Unconscious: Mother Tongue and Foreign Languages in the Psychoanalytic Dimension. Editor (with Marianne Leuzinger-Bohleber and Anna Ursula Dreher) of Pluralism and Unity? Methods of Research in Psychoanalysis. Director of the webpage: Psychoanalysis and logical mathematical thought. Mary S. Sigourney Award recipient, 2004. IPA Global Representative for Europe. 1 Implicit understanding of clinical material beyond theory (Jorge Canestri). 2 The map of private (implicit, preconscious) theories in clinical practice (Jorge Canestri,Werner Bohleber, Paul Denis and Peter Fonagy). 3 Miss R (Peter Fonagy). 4 Discussion of public and implicit theories in Peter Fonagy’s case presentation (Werner Bohleber). 5 The failure of practice to inform theory and the role of implicit theory in bridging the transmission gap (Peter Fonagy). 6 Some perspectives on relationships of theory and technique (William I. Grossman). 7 Theory as transition: spatial metaphors of the mind and the analytic space (Gail S. Reed). 8 The analytic mind at work: counterinductive knowledge and the blunders of so-called ‘theory of science’ (Jorge L.Ahumada). 9 Infantile sexual theories and cognitive development: psychoanalysis and theoretical production (Samuel Zysman). 10 The search to define and describe how psychoanalysts work: preliminary report on the project of the EPF Working Party on Comparative Clinical Methods (David Tuckett).